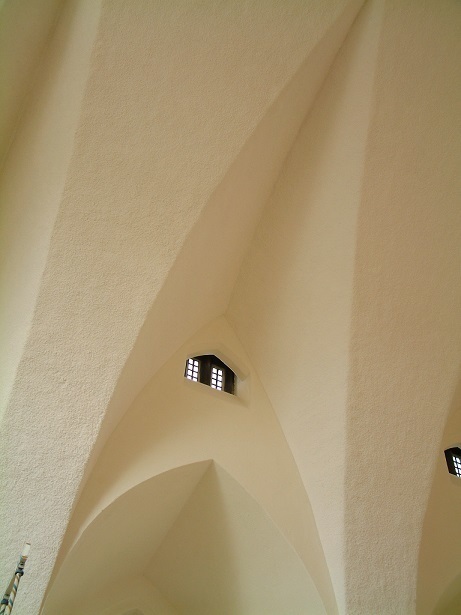 In many churches and other religious buildings, poor acoustics can be a big problem. With hard walls, stone or tiled floors and bare wooden seating, churches are often very reverberant spaces and when coupled with high ceilings and gothic shapes can result in poor church acoustics. In a building that was built predominantly for holding services such as christenings and weddings with loud music and singing it is vital that the acoustics are treated within the space. People can find it extremely difficult and frustrating to hear a marrying couple or the vicar when their voices are being reflected at them from all directions. The worship space must be quiet enough so that worshippers are not distracted and excess noise levels do not interfere with the music or speech during a service. If you are dealing with poor church acoustics you will find that clear communication is near on impossible and it can really spoil the ambience and atmosphere of a place of worship. For any type of religious building you want visitors to enjoy their time there in a warm, inviting and comfortable space. You do not want people struggling to hear any part of the service and feeling like they cannot wait to leave! The solutions are good structural design and an acoustic treatment such as one of our SonaSpray ranges. Oscar's acoustic decorative finishes enable designers to achieve minimalistic designs with clarity of sound. 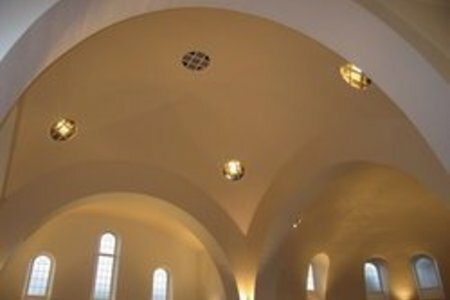 Click here to see the full range of our acoustic materials for perfect church and religious building acoustics. SonaSpray is manufactured from non-hazardous, recycled material and depending on the church acoustics requirements, is applied between 6mm and 100mm thick in one operation. SonaSpray achieves M1 certification for Building Materials emissions. This is the best possible classification. Click here for certificate. 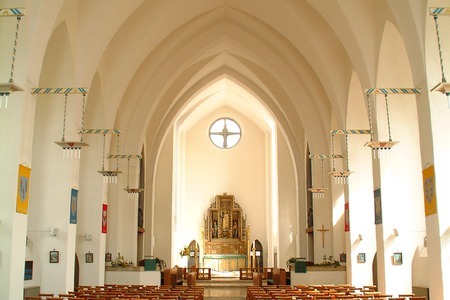 Contact us here to discuss the acoustics in your religious building and to receive a free church acoustics appraisal. A recent major refurbishment to this grade II* listed building included improvement to the church acoustics. After research by acoustic consultants - Peninsular Acoustics - an acoustic coating of SonaSpray fc sound absorber in off white was proposed at 25mm thickness to control reflected noise from hard surfaces. Following the removal of asbestos in the dome and vaults, the church acoustics deteriorated dramatically. Worshippers complained they were having difficulty in hearing and understanding services due to sound reflecting around the room, a common problem in large and hard walled buildings like churches. Contact us for more information on our Church Acoustic materials. For more information regarding our church acoustic materials or if you have any questions regarding building acoustics you can call us direct on 01474 854902 or fill in our contact us form and a member of our friendly team will get back to you as soon as possible.